The plan of the attack, as concocted by General Godley, had involved numerous other battalions, and a brigade of four battalions under Brigadier General A H Baldwin now set out to reinforce the forward unit of Gurkhas pinned down below the summit of Hill Q, but again the guides lost their way and this force failed to advance very far. Baldwin’s column was still a long way from the crest whence they should even now have been sweeping along the whole ridge of the mountain. And instead of Baldwin’s support came suddenly a salvo of heavy shells. So, when the naval barrage designed to wreak havoc on the Ottoman positions lifted at 5.20 am on 9 August, only survivors of the first advance were able to make an assault on the hill top. These were: the 1/6th Gurkhas, the North Staffs, the Warwicks, the South Lancs, the 1/5th Gurkhas, which had managed to join the others, and a Maori battalion – all much reduced in strength by now. They now launched their attack. John North, in his book Gallipoli: the Fading Vision, comments that ‘the lonely advance of the British and Gurkha skirmishers to the crest of the ridge when the battle was already lost must always remain one of the most gallant episodes in the whole campaign’. The Gurkhas succeeded in driving the enemy off the hill and for about 15 minutes occupied the crest, preparing a gap for General Baldwin’s column of four battalions to exploit. But the reinforcements – Baldwin’s four battalions – never came. And as the 1/6th advanced towards Sari Bair and Maidos from where one can see a large stretch of the Dardanelles, suddenly when they were about 300 feet down, they were shelled. Allanson believed it was the Royal Navy, mistaking them for the enemy, although that has been contested. This, combined with heavy fire from the direction of Abdel Rehman Bair and an Ottoman counter-attack, drove them from the summit. The position won at such cost after three nights and two days of fighting was lost, never to be regained. They were obliged to retreat to their earlier position of the night before, below the crest of the Hill. For the whole of the following day, the Gurkhas and the British troops were marooned on the rocks below the peak, under the baking sun with no water and running low on ammunition. The wounded, of whom there were many including Allanson himself, were in a parlous state. Allanson and all the British officers except one having been either badly wounded or killed, it was Subedar Major Gambir Singh Pun who effectively commanded the battalion, together with the Medical Officer Capt Phipson. By the end of 9 August the Allies retained only a foothold on Chunuk Bair. ‘This’, General Hamilton, however, wrote in his diary, ‘leaves us with a fine gain of ground, although minus the vital crest. Next time we’ll get them’. But there was no next time. 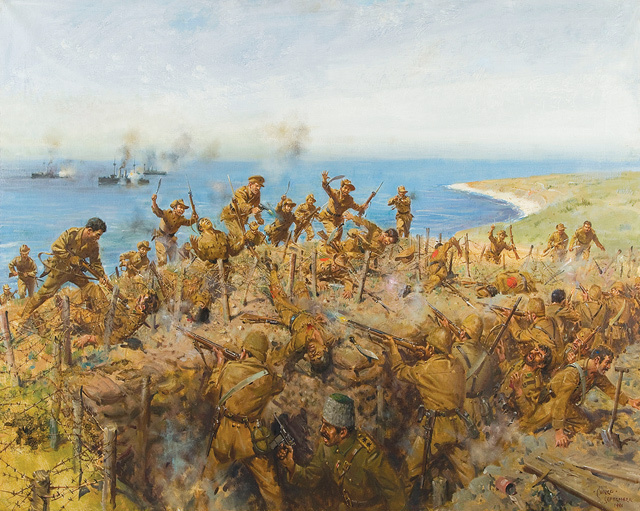 The chance to capture Sari Bair was gone forever and with it the last opportunity for a successful conclusion to the Allied Gallipoli campaign. At daybreak on 10 August 1915, the Ottomans counter-attacked. First, they shelled the Allied troops and then attacked with a full division plus a regiment of three battalions. They managed to push the allies to a line along the lower slopes of the great ridge of Sari Bair. Hamilton noted later in his field report that ‘the ponderous masses of the enemy swept over the crest, turned the right flank of our line below, swarmed round the Hampshires and General Baldwin’s column, which had to give ground, and were only extricated with great difficulty and very heavy losses’. The 1/6th Gurkhas suffered 200 casualties. Allanson was told that the Gurkhas would be withdrawn the next morning. 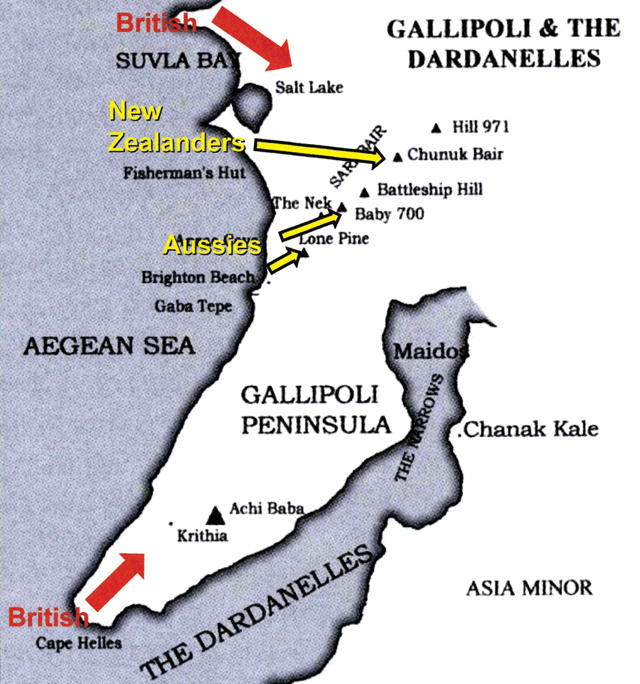 Allanson himself was eventually ‘carted’ off, having told the general (presumably Cox) that if his Gurkhas were forced to retreat they ‘would have given up the key to the Gallipoli Peninsula’. The action seen of the 1/6th over the few days of the ‘break-out’ constituted probably the most outstanding fought in the Regiment’s history and is unique in that the Battalion was for a time under joint command, with Capt Phipson communicating with the higher HQ and Subedar Major Pun passing the orders onto the companies. It was the considered opinion of Lt Gen Sir Reginald Savory, who served at Gallipoli with the 14th KGO Sikhs that the 1/6th Gurkha Rifles were “the outstanding battalion of the Gallipoli Campaign”. General Sir Ian Hamilton’s secretary, in a letter acknowledging a Christmas card from the Regiment, says “It is Sir Ian Hamilton’s most cherished conviction that if he had been given more Gurkhas at the Dardanelles he would never had been held up by the Turks”. ‘I first met the 6th Gurkha Rifles in 1915 in Gallipoli. There I was so struck by their bearing in one of the most desperate battles in history that I resolved, should the opportunity come, to try to serve with them. Four years later it came, and I spent many of the happiest and from a military point of view the most valuable, years of my life in the Regiment’. In all modesty, he was probably referring to himself; but his comment stands as an indictment of the more senior officers who were ultimately responsible for this particularly disastrous episode of the disastrous Gallipoli campaign.